This is the Rusty Jowett 1968 Camaro, that ran in the 1969 SCCA Trans-Am championship. This Camaro was initially delivered to Penske racing by Chevrolet. The car was one of perhaps five Camaros that Penske Racing had in their facilities in 1968. This car was provided by Chevrolet, specifically for Penske Racing to use as it saw fit in 1968. The additional extent of this Camaro’s use or lack thereof by Penske is presently unknown. 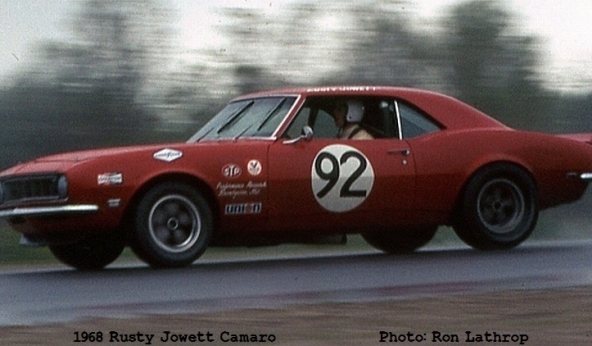 In August of 1968, at the Watkins Glen Trans-Am, Rusty Jowett destroyed a different car, a 1967 Z/28 Camaro. Rusty now needed another car for their on-going efforts in Trans-Am. Mark Schwien, Jowett’s fabricator and race car builder, contacted Mark Donohue and Penske Racing and secured this 1968 Camaro. According to Schwien, the car was, "picked up from my friend, Mark Donohue, at Roger Penske's shop in Pennsylvania in the fall of 1968. This chassis was a leftover from Penske's 1968 Trans-Am efforts. Schwien built this car into the car that Jowett would use for the 1969 Trans-Am series. Rusty Jowett scored a number of great results in this car, in 1969. Rusty did well enough, that if Trans-Am Championship points had been allocated for a driver's championship in 1969 (and not just a manufacturer's championship), Jowett would have finished 5th in the overall standings, ahead of many of the factory sponsored drivers. This car, and Rusty's performance in 1969 are arguably the best achieved by an "independent" in a glory year of the Trans-Am series. 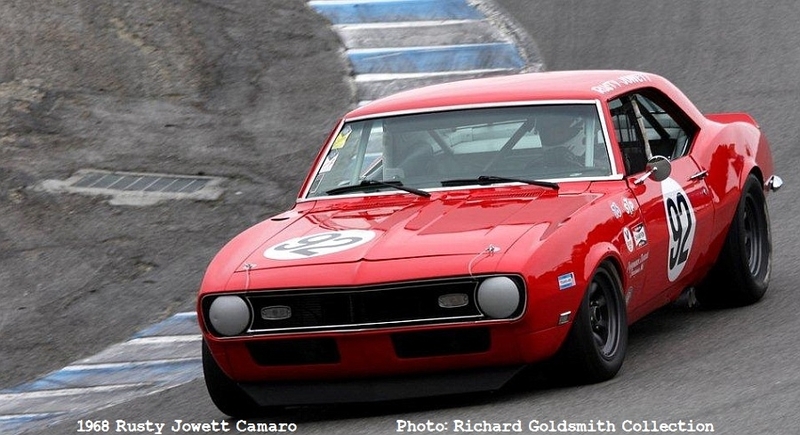 After Rusty Jowett's efforts in 1969, this car was subsequently raced with commendable success in the 1970-72 SCCA Trans-Am series by Paul Nichter.